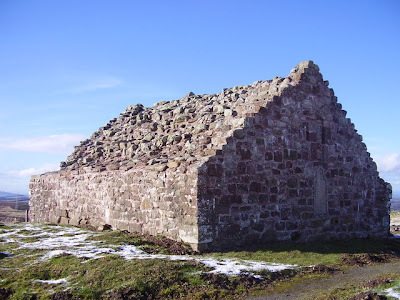 This is Soutra Aisle, the remains of an medieval hospital and church in Scotland. Does anyone know anything about this roof construction? Maybe it's vaulted, and was covered by a wooden or thatched roof? Or was it covered in stone, like many other Scottish roofs? Looks weird, but interesting.